Wolf Creek Crafting: Feeling Springy! Spring still feels a long way off here in snowy Western Pa. We're doing the best we can to bring a little brightness to our gray, slushy world, though, in the form of art and craft projects, some fun playdates, and even a new springy, short bob haircut for Shannon! Here are some of the cards I've made in the past week. 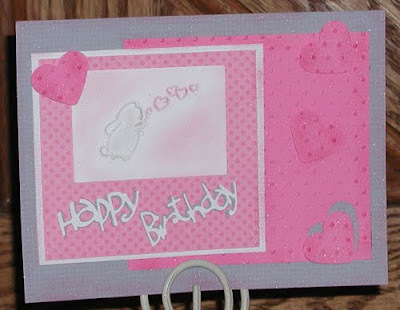 A birthday card for our neighbors' little girl. This is quite different from my typical style but perfect I think for an adorable, sweetheart just turning three. So if attitude counts for anything, we've got spring in spades at our house! 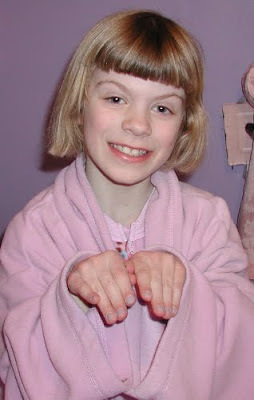 Shannon is just adorable! Love her sweet new 'do! 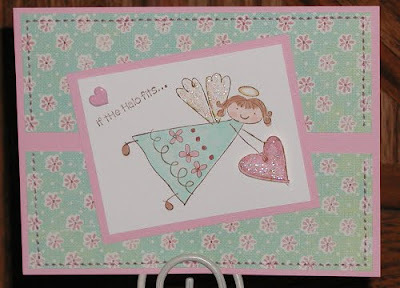 Your cards are beautiful, Marcy--love all the springiness! (Is that a word?!) Hope Spring does come to you soon--here's hoping there's no more snow for you! Hope your day is wonderful today--see you over at SCS! 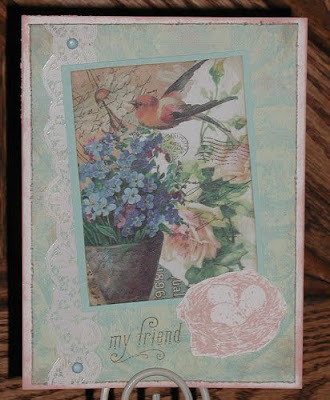 all your cards have such soft spring colors, love them! Your cards are lovely Marcy, and your sweet girl in darling! These are all so sweet! Nice projects!